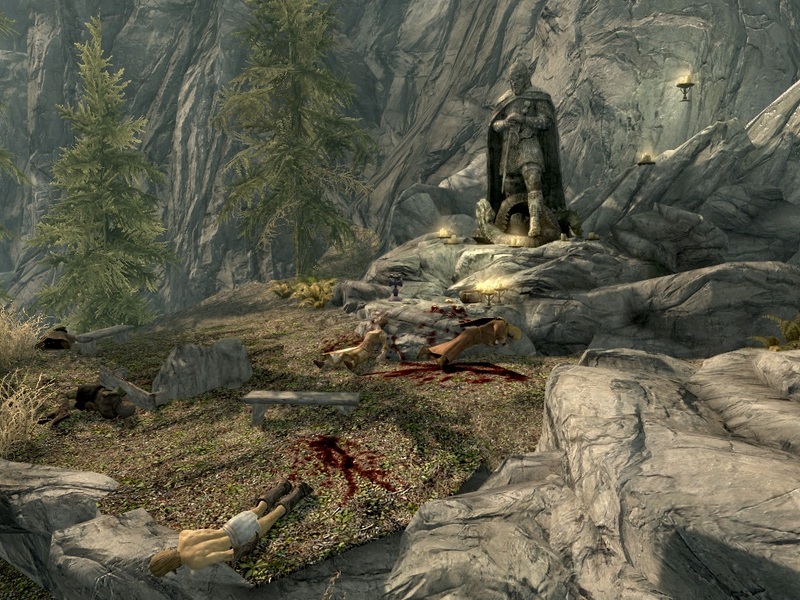 The massacre site at the Shrine of Talos southwest of the Guardian Stones, showing all five corpses and in the daytime. 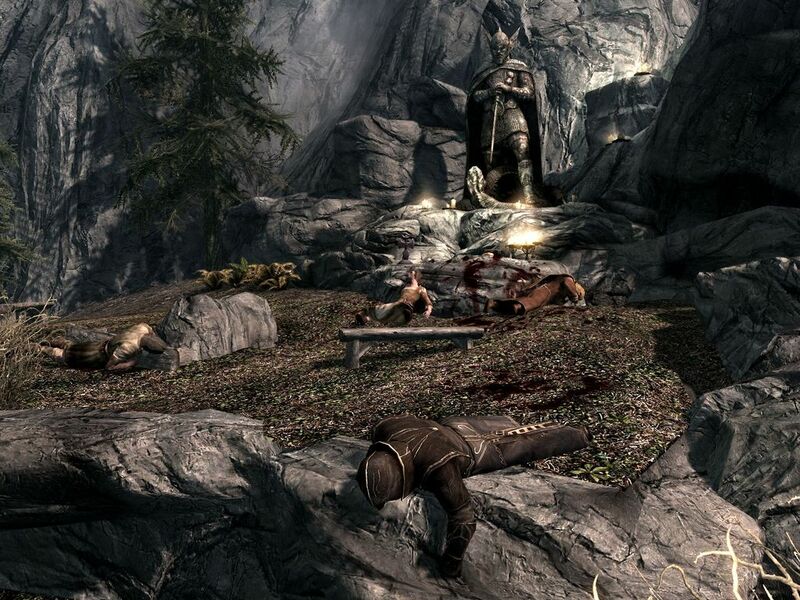 19:54, 17 February 2014 1,024 × 768 (460 KB) Likelolwhat (Talk | contribs) Now with clothes on! 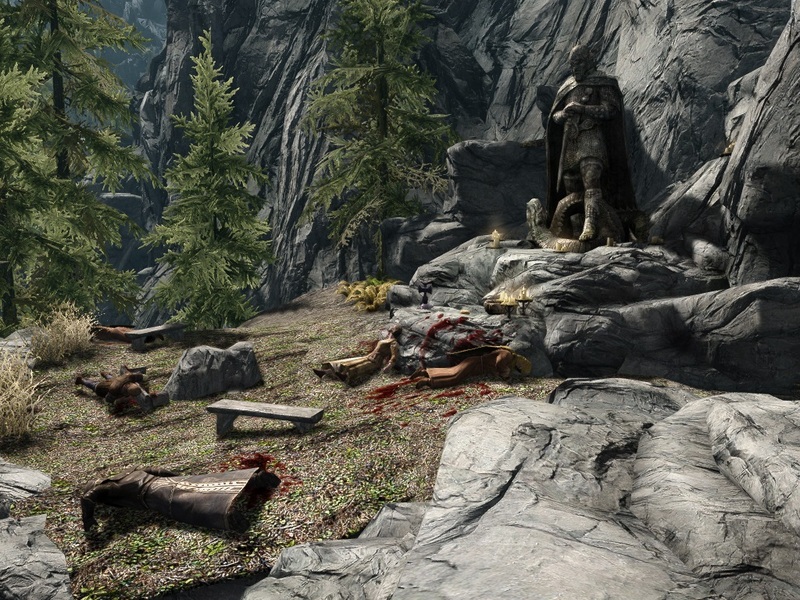 06:26, 22 December 2013 1,024 × 768 (408 KB) Likelolwhat (Talk | contribs) The massacre site at the Shrine of Talos southwest of the Guardian Stones, showing all five corpses and in the daytime. This page was last modified on 13 June 2014, at 02:19.